Is there anything to rival the innocent sweetness of a Little Debbie treat? From the extreme simplicity of their classic goodies to their chemist-friendly ingredient lists to the cute little girl whose portrait adorns every box, the brand embodies pure, sugary nostalgia. Ever since the 1960s, when the CEOs of McKee foods decided to name a line of snack cakes after their granddaughter, this line has brightened many a day. Crossing paths with Debbie at the supermarket or gas station always brings a smile to my face. These chance encounters bring to mind lunchtimes in preschool and kindergarten, during which Debbie and I became acquainted. Those years were simpler for us all, and whether or not we could expect to find something so tasty in the day’s lunchbox seemed an important issue. Too often, the presence or absence of a Swiss Cake Roll would determine my mood for the afternoon. Yet for whatever reason, my relationship with Little Debbie has become less intimate in recent years. We see each other, sure, but we don’t touch, or (most importantly) taste. I feel at times that the freckled, curly-haired youth and I have grown estranged. 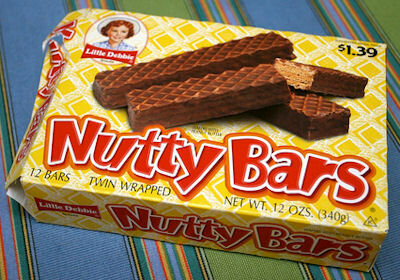 So it came as a pleasant surprise one recent evening when my boyfriend arrived carrying an armful of Little Debbie’s beloved Nutty Bars. Butterfinger and Crunch are the stars of Nestleâ€™s confectionery lineup. They get more advertisements on TV and have each undergone various spin-offs over the years. 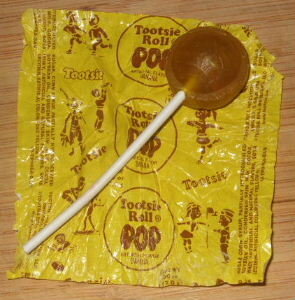 Whenever I hear those candy brands, I think of a grouping of candy rather than an individual piece of candy. Their ubiquitous nature has rendered them undefined and associative. In contrast, there is a Nestle product, easily my favorite Nestle product, which exists as the unacknowledged sibling to these candy bars. I am talking about the one and only Baby Ruth. 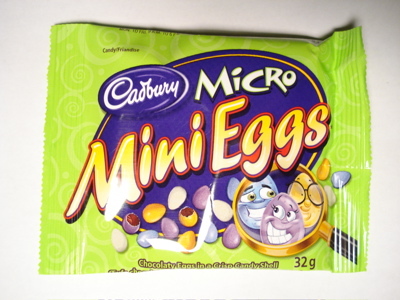 There isnâ€™t a crisp variation, theater-sized box, or even dark chocolate counterpart to this classic. In fact, it hasnâ€™t ever been redone (at least, not with any lingering spin-offs). You also donâ€™t see commercials for this candy too often. But I believe I know why.